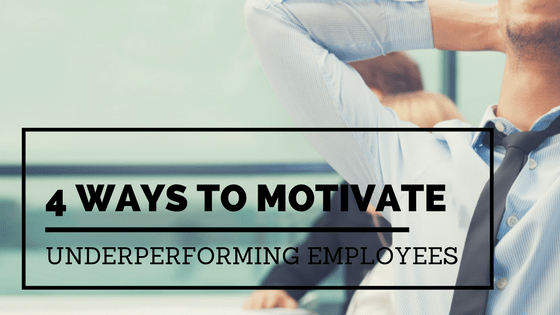 Underperforming employees are the bane of every manager’s life. Last week we began exploring the performance concept of Explorers in the workplace – folks who come to work each day energized and excited at the prospect of being part of something worthwhile and meaningful. And we included Discretionary Effort – the essential secret sauce needed by all companies that desire greatness as their destiny – in the discussion. Companies need Explorers to ignite enthusiasm and blaze pathways to new heights. Explorers are also the practitioners of Discretionary Effort. Tier 1: A great manager and great work. If it is true that people don’t leave companies they leave managers, then it follows that people will stay at companies where they hold their managers in high esteem. This means their managers have earned their respect, their liking and their approval which comprises at least 50% of employee’s desire and willingness to embrace discretionary effort. The other half belongs to the degree in which employees find meaningfulness and fulfilment in their work. The most recent studies on human motivation reveal meaningfulness and the self-satisfaction caused by fulfilment are more energizing and motivating than material rewards like cash or other material awards. In other words, if you are the type of manager who understands that your job – and your behaviour – is to create an environment in which people feel welcomed, valued, respected and appreciated, you are contributing mightily to the likelihood of Discretionary Effort becoming a cultural norm within your group or department. If, in addition, you do everything in your power to enable your direct reports to view what they do as being meaningful and to provide them with a sense of accomplishment and fulfilment, then almost certainly you will reap the benefits that Discretionary Effort brings and your direct reports will come to work each day because they truly want to and not because they really need to. Probability of developing Explorers and encouraging Discretionary Effort? Extremely high. Tier 2: A great manager with not so great work: It has long been said that great managers bring out the best in their people and that it is extremely difficult for an employee to consistently deliver superlative performance when under the supervision of a poor manager. If your management skills and your commitment to employee excellence are at their peak and yet the work is generally rather uninspiring, your style, and the degree to which your employees like, trust and respect you will play a huge role in nudging them to become Explorers and to willingly go above and beyond the expected norms. Probability of developing Explorers and encouraging Discretionary Effort? Strong. Tier 3: Poor manager with great work. Employees view their work responsibilities as being deeply meaningful and serving to fulfil their needs for personal growth and job satisfaction, however they view supervisors with disdain and distrust and work hard minimizing contact with management. Probability of developing Explorers and encouraging Discretionary Effort? Slim. Tier 4: Poor manager and poor work. Employees can’t decide whether they have less regard for the work or for the managers. Regardless of the final decision, they attain no satisfaction from either. Probability of developing Explorers and encouraging Discretionary Effort? Fat chance. Clearly, if great managers and great work produce high numbers of Explorers, then training greatness into managers ought to become a top corporate priority? Great managers can also promote great work by the messaging they deliver and the enthusiasm they portray. If it is true, as the famed economist Milton Friedman once said, companies exist solely for the purpose of earning money for the owners, then it is incumbent upon executives to do everything in their power to produce great managers. And one of the fastest and most effective ways of achieving this is by hiring great coaches.